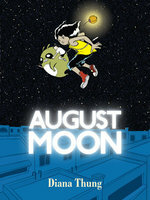 The incredible imagination that brought you August Moon is back with another wild adventure! Diana Thung welcomes you to Botany, a quaint and quiet little town nestled in the wintry hills. Here, Oliver Peach had a life of simple pleasures -- making puppets, working in his dad's tailor shop, and rockin' out to the music of his friends' band, the Beebop Beans. But when he accidentally thaws out a long-extinct critter frozen in a ball of ice, wild things start happening everywhere! Suddenly the kids are overrun by strange animal migrations, mysterious music, and ghost sightings… and the grownups in town are really starting to lose it. 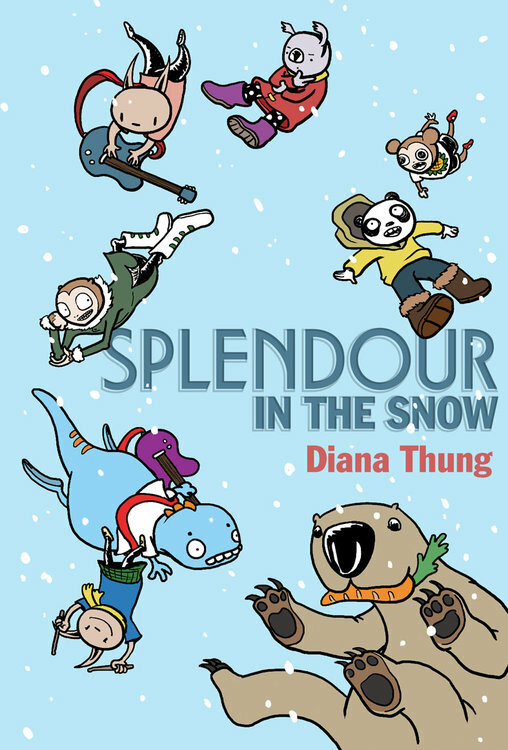 Can Oliver, the Beans, and the ever-inquisitive Tippi Strawberry get to the bottom of this mystery -- and still play the greatest show of their lives at the Splendour in the Snow festival? Dive in and find out! This full-length tome reads like a delicious slushy blend of South Park, Scott Pilgrim, and Spiral-Bound, with that special touch of Diana Thung charm -- a heartwarming adventure for a cold wintry day. A 265-page full-color graphic novel, available as a Top Shelf digital exclusive!